Eye-catching and unusual, these large tealight candle holders for the home can also double up as small bud vases. 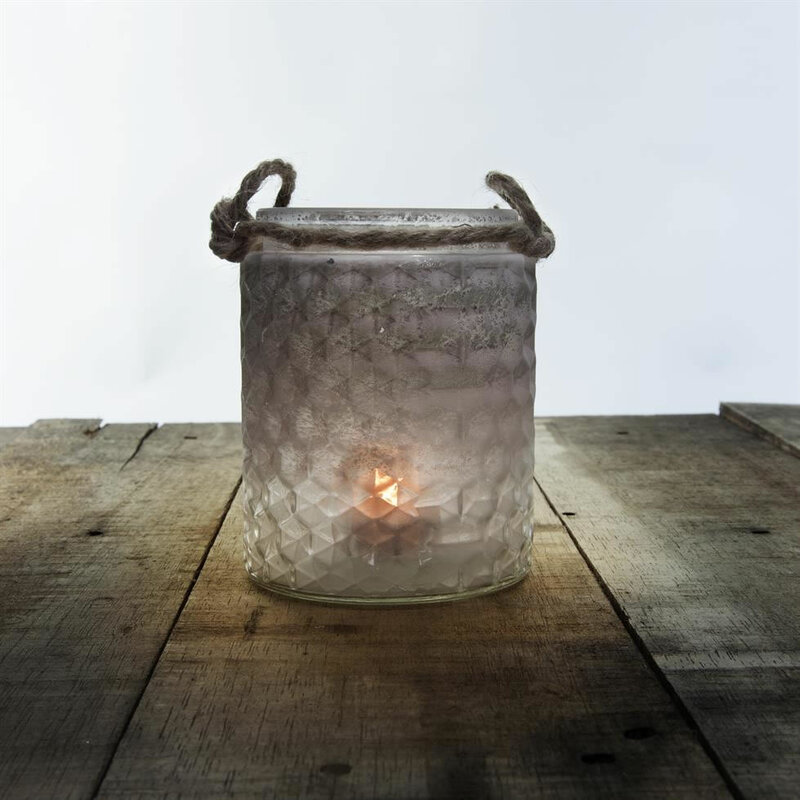 Each has a distressed frosted white finish and a ridged pattern to add colour and texture. Great for use on a tabletop or shelf, as garden gathering lighting or for weddings etc. They can also be hung using the jute string.